The greatest action movies—the ones that can make you feel like simultaneously applauding and waving a lighter in the theater—tend to be those most adept at seemingly losing control, somehow maintaining a fluid anything-can-happen vibe while also sporting atomic clock choreography. The ecstatically touted Mission: Impossible – Fallout is an amazingly entertaining blockbuster in a whole lot of ways, but it never quite escapes the flowchart stage. Even at its most astounding, you’re still aware of just how much pre-planning must have been required at any given moment in order to keep Tom Cruise from enthusiastically shuffling off from this mortal coil. That said, if you’re in the mood for sheer kinetic oomph, this is really, really tough to beat. Oh my god, that bit with the helicopters. At a time when comic book movies were steadily cranking up the Sturm und Drang, 2015’s Ant-Man served as an amiably slouching alternative, gently snarking at superheroic conventions while still staying within the Marvel mandated lines. What’s more, it was one of the rare blockbusters that actually got better as it went along, with a third act that felt like it was beginning to fully grasp the scale-shifting possibilities of its hero. All this, plus a pretty sweet joke involving The Cure, to boot. So it’s finally here, and it’s goddamned enormous. 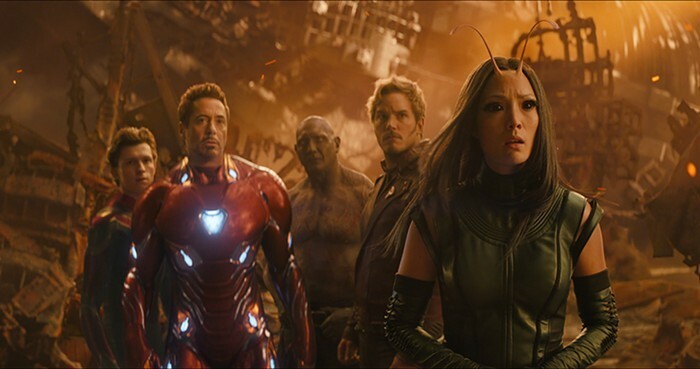 Avengers: Infinity War, Marvel’s attempt to put an exploding bow on 10 years of corporate synergy, is a lurching, ungainly colossus of a blockbuster, with far too many characters and storylines stretching across a series of planets that resemble 1970s prog-rock album covers. The thing is, though, while you’re watching it? 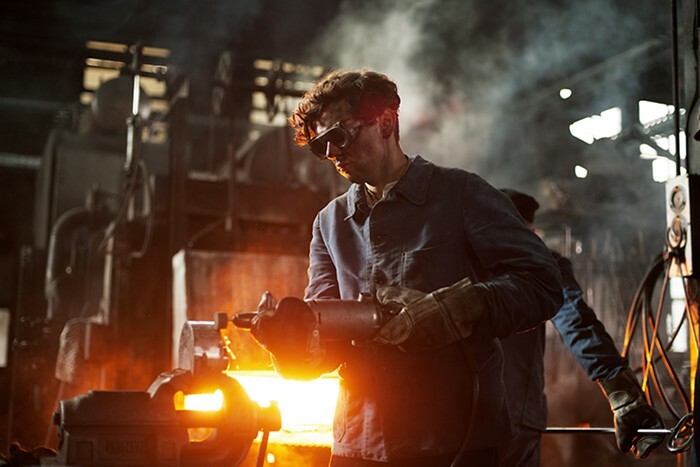 None of these elements feel like debits. Sometimes, excess hits the spot. The smaller the scale of a portrait, the more the individual brush strokes tend to matter. The finely tuned relationship drama Rogers Park successfully captures a compelling slice of life where there are no clear-cut heroes or villains, just normal everyday folks with some recognizably unlovely facets to their personalities. Within its determinedly narrow scope, there are very few false moves to be found. The horror films that linger into the wee small hours after watching are often the simplest ones. 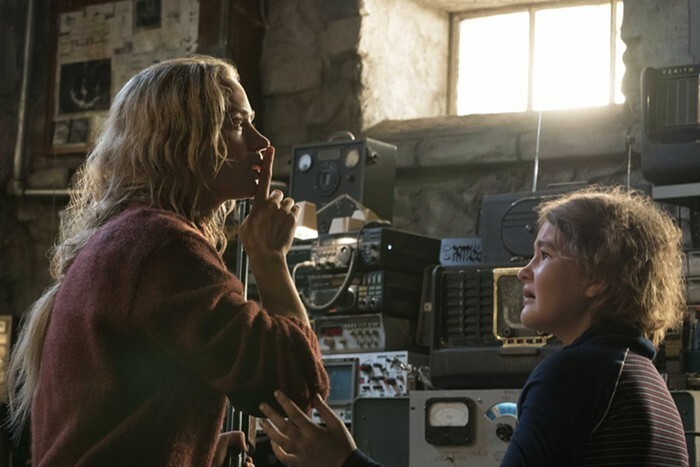 A Quiet Place, director/co-writer/actor John Krasinski’s startlingly good monster movie, quickly establishes a lean, mean scenario and then cranks up the tension. This is a ruthlessly efficient primal scream generator that somehow doesn’t leave the viewer feeling ill-used, and audiences are going to go bananas. Flip through a few recent Best of Horror collections at random, and you’re likely to hit a healthy smattering of Laird Barron. Barron, who sets many of his stories in the Northwest, is a ferocious talent, specializing in an upsetting, lysergic melding of two-fisted adventure scenarios and slithering Lovecraftian remnants. 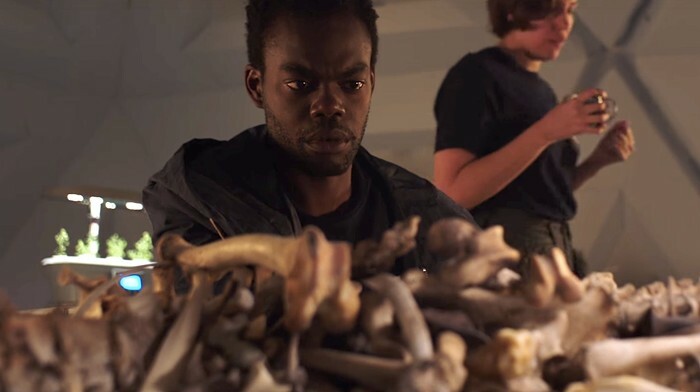 They Remain, the first filmed take on the author’s work, manages to replicate a gratifying amount of that distinctive vibe, infusing the story with large doses of free-form agoraphobic anxiety. It lingers. As the stories of real-life Hollywood Ogres continue to pile up, the perspectives of women who’ve navigated the trenches are especially welcome. Half Magic, Heather Graham’s feature debut as a writer/director, is a witty, agreeably low-key comedy about Finding Yourself that benefits from a keen sense of irony about Tinseltown. Breezy though it may be, there’s also no shortage of righteous rue being flung. Nostalgia can only get you so far, even when wookiees are involved. While 2015’s Star Wars: The Force Awakens succeeded in its designated task of rescuing the venerable franchise from the doldrums of its prequels, it also practiced a frustrating form of risk aversion, putting the next generation of characters through some very familiar paces. (Now coming up on your left: another Death Star!) Thankfully, The Force Awakens’ thunderously hyped sequel, Star Wars: The Last Jedi, takes a much more proactive tack, fully honoring the touchstones of the series while zigging and zagging in satisfying, provocative ways. If the previous entry presented a respectably staid melding of old and new, this one wires everything up, cranks the juice, and lets her rip. It’s escapism on a grand scale—the kind of experience that reminds you why you fell in love with movies in the first place. Believe the hype, and then some. Todd Haynes has been in the zone for quite some time now, creating a remarkable streak of films that establish glorious illusions, and then burrow deeper for the real, messy deal. 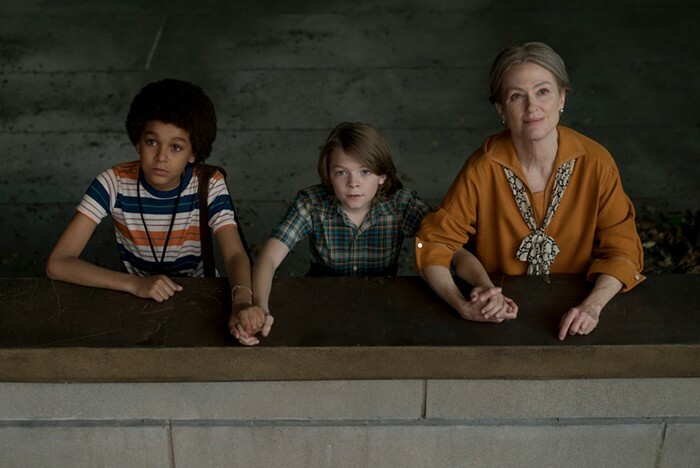 Wonderstruck, the director’s first movie for a younger audience, feels like an anomaly in other, less intriguing ways—including an atypically slack narrative and an occasional case of the cutes. But then the third act kicks in, and everything gets terrific. The once-vibrant South Korean action movie movement has slowed. What was a steady wave of semi-righteous vengeance sagas has reduced down to a trickle of straight-to-video exports. On the bright side, when one of them does still manage to make it to American theaters, they’re usually worth the ticket price. The absurdly flashy The Villainess takes a sure-fire exploitation premise—a female assassin attempts to start a new life, while also reluctantly continuing to thin out the world’s thug population—and goes for absolute, ridiculously overt broke. Movies that worm their way into a disturbed character’s head can be a discomfiting experience, especially when they’re done really well. (I firmly believe that Lodge Kerrigan’s Clean, Shaven is a great film. I also believe that you’d have to work pretty hard to get me to ever watch it again.) The British import The Ghoul is a clever, deceptively chilly example of narrative unreliability, presenting an increasingly askew perspective in a way that’s somehow both off-putting and absorbing. It lingers. Writer/director Gareth Tunley wastes no time in establishing the basis for an intriguing psychological thriller: As a favor to his former partner, an off-duty cop (Tom Meeten) poses as a depressed patient in order to covertly gather information on a murder suspect from a psychiatrist. 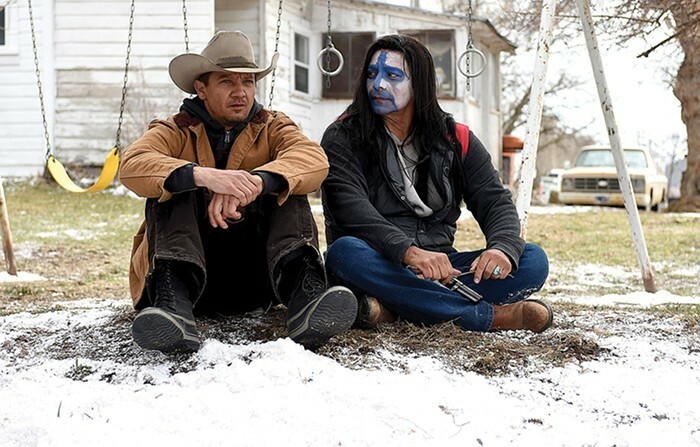 Wind River, Sheridan’s first attempt at directing one of his own scripts, is a similarly tough, intelligently elevated B-movie, bolstered by unexpectedly deft novelistic touches and an exceptional, contents-under-pressure lead performance by Jeremy Renner. It’s got a kick. Downfall, director Oliver Hirschbiegel’s exploration of Adolf Hitler’s final days, succeeded by going deep, fully acknowledging its subject’s unimaginable monstrousness while also locating an aggrieved peevishness that made him fascinatingly, horribly relatable. (Can a zillion YouTube parodies be wrong? Well, yes, but not in this case.) 13 Minutes, Hirschbiegel’s return to the time frame, unfortunately can’t quite manage the same burrowing feat. Although its depiction of courage under titanic pressure is both harrowing and heroic, it never really pinpoints the central character’s defining moment.